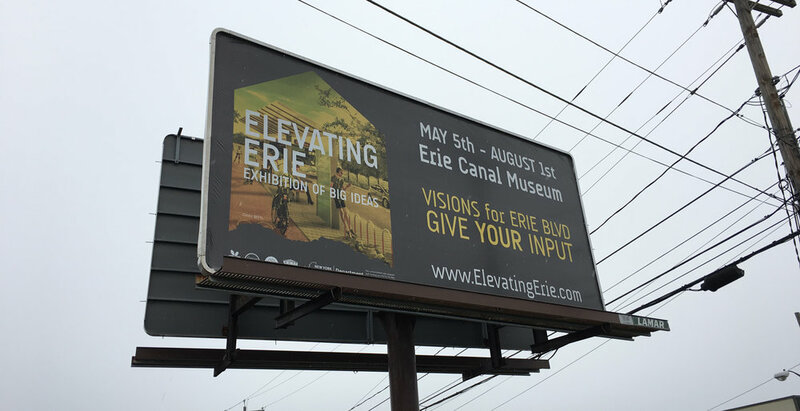 Elevating Erie began as a Locus driven International Competition focused on generating positive community discussion and building support for a large multimodal infrastructure project. For years, the Town of DeWitt has been frustrated that their "main street" is a 6-7 lane highway lined with strip malls and single story retail centers. The public, accustomed to what currently exists, could not envision a different use. DeWitt needed a bold vision built on public engagement. We knew that if we came in as urban designers and just imaged a really great road it would not get the public and political support needed for funding and approvals. They needed a bold vision built on public engagement. So we suggested a different strategy. 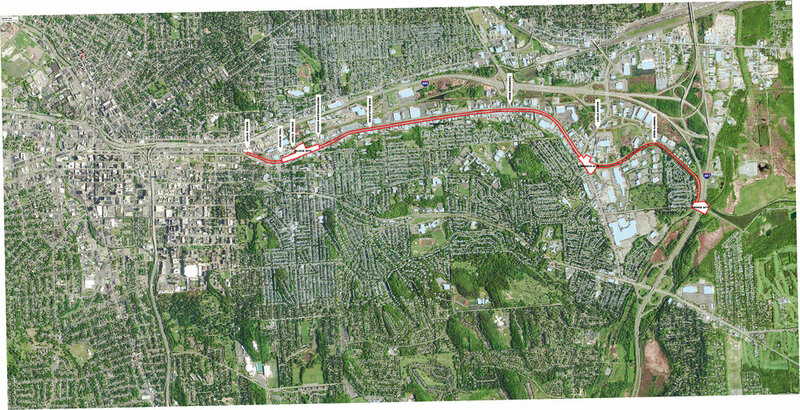 LOCUS proposed running an international ideas competition to help the community imagine all the ways that the boulevard could improve their lives and region. We knew that if we approached the task as urban designers without first stimulating the public's imagination, it would lack the public and political support necessary for approvals and funding. Upon conclusion of the ideas competition, LOCUS designed an exhibition of the top idea submissions in order to generate community engagement, conversation, and enthusiasm about the future of the boulevard. Along with the exhibition, LOCUS designed a free publication showcasing the ideas competition entries and inviting the public to write in their favorite suggestions and submitting via mail or online poll. We are continuing our efforts to build momentum toward a huge community change.